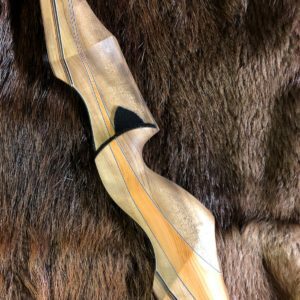 From his remote shop in northwest Montana, Trent Wengerd at Wengerd Archery builds two models for LifeCycle—the Beartooth recurve and the Lolo reflex/deflex longbow. 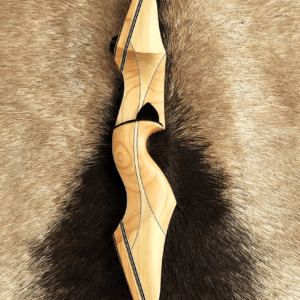 Wengerd bows epitomize the notion of functional art. 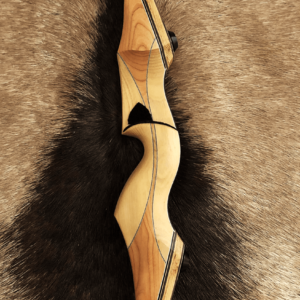 While beautiful to behold, make no mistake, these bows are designed for performance. 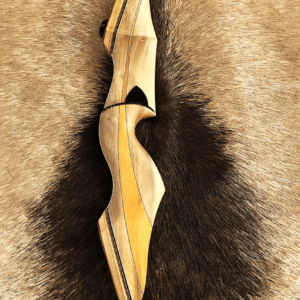 One shot from the Beartooth’s deep recurve limbs will make you a believer in Trent’s design capabilities. 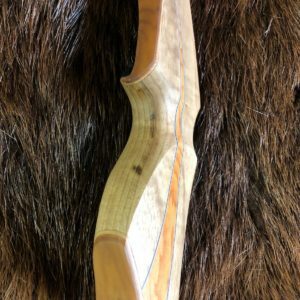 The overarching “disqualifier” for anyone trying new bows is the grip. If the grip doesn’t fit, then the bow doesn’t fit. Trent has found a way to shape a grip that universally fits nearly everyone who tries it. It’s neither big nor small and just seems to settle on the hand’s thumb pat, right where it should be. 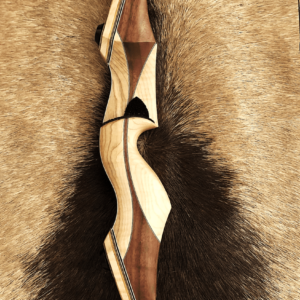 The LifeCycle Beartooth is a take-down recurve with a 15” riser that is available in 56,” 58,” and 60” lengths. 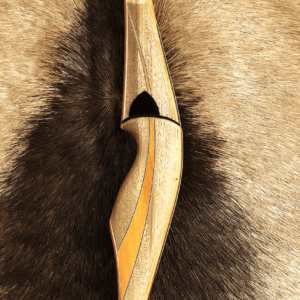 The Beartooth features a radiused arrow shelf that sits 1 1/8” above the deepest part of the grip, making the best possible connection between your hand placement and the arrow. The shelf is cut 1/8” past center for ease of tuning and shooting, and the 3” sight window accommodates most shooting styles—split finger or three under. The Beartooth model is named after the Beartooth Mountains of central Montana, which contain Montana’s highest point, the 12,807’ Granite Peak. With more than 400 species of plants, the Beartooths are considered to be the most biologically diverse mountain range in North America and presently hold the U.S.’s largest grizzly bear population outside of Alaska. 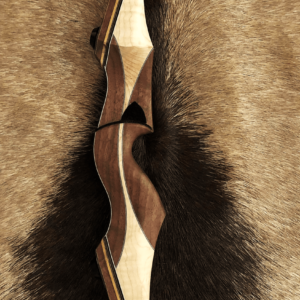 The Lolo is a one-piece reflex/deflex longbow that is available in lengths from 58” to 62.” The deeply indexed riser with radiused shelf positioned directly above deepest part of the grip makes for an easy pointing bow that reminds one of shooting a quality shotgun that just doesn’t seem to miss. The reflex/deflex profile eliminates hand shock and generates arrow speed to rival any recurve. The LIfeCycle Lolo was named for the 2-million acre Lolo National Forest in western Montana. With giant Western Red Cedars topping 8’ in diameter and growing 200’ tall, the Lolo contains the largest trees in the state of Montana. 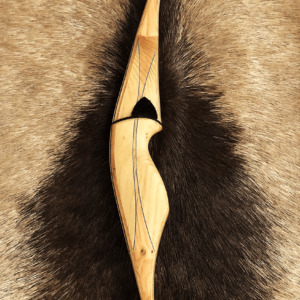 The Lolo is a big game hunter’s dream, with 60 species of mammals, including grizzly bear, black bear, mountain lion, gray wolf, mountain goat, elk, bighorn sheep, mule deer, and moose.